WINNIPEG – A solid MLS® sales performance in June finished off a strong second quarter result and brought year-to-date sales much closer to the downside risk of minus 4% factored into the annual 2013 MLS® market forecast. No major road blocks in the way to conclude a month ranked in the second tier of Junes that edged up to the 1,500 sales level but could not go further as was the case in 2007, 2008 and 2011. 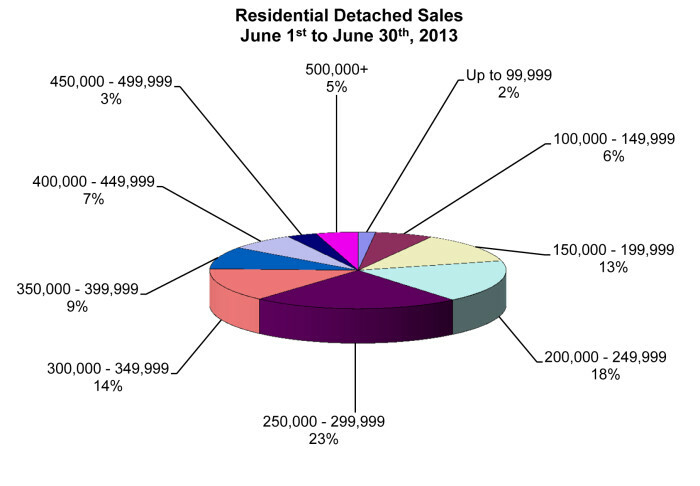 Nevertheless, 2013 June sales are only off the best June ever by 5%. June dollar volume set a new June monthly record of $392 million and it helped bring year-to-date dollar volume within less than 2% of last year’s dollar volume total. New MLS® listings rose 9% over June last year leaving an inventory going into July of close to 4,000 units for sale. You have to go back to the 90s to find this much MLS® listing supply. “June MLS® unit sales were virtually even (1,480/1,487) while dollar volume was up 6% ($392.4 million/$369.4 million) in comparison to the same month last year. Year-todate MLS® unit sales are down 7% (6,431/6,921) while dollar volume has dropped off less than 2% ( $1.68 billion/$1.71 billion) in comparison to the same period last year.